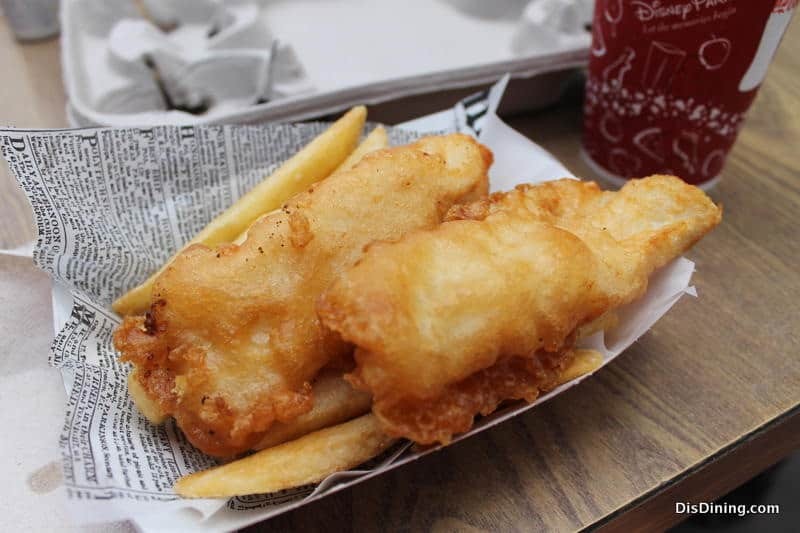 The best fish ‘n’ chips at Disney World are served on the World Showcase at EPCOT. At the Yorkshire County Fish Shop at the Great Britain pavilion, they sell two things—and that’s fish ‘n’ chips! And they’re good! Battered fish fillets and thick-cut fries (chips) are served up hot and fresh all day long. Order up and enjoy these iconic EPCOT delights as you take in the sights around World Showcase Lagoon.